The St. Johns River Water Management District implements a wide variety of projects — many with partners — aimed at protecting water supplies, improving water quality and restoring natural systems, as well as providing flood protection in an 18-county jurisdiction in northeast and east-central Florida. The projects described on this page — undertaken to fulfill its core missions — are broken into district-led restoration and construction projects, springs protection projects, and districtwide and agricultural cost-share projects. Lake Apopka is the headwaters of the Ocklawaha Chain of Lakes. The district and partners have worked since the 1980s to improve the lake’s water quality and habitat, achieving significant water quality and habitat improvements. For example, in 1994 there was no submerged aquatic vegetation (SAV) in the lake. A 2018 survey finds SAV around most of the lake’s perimeter and district staff have observed much of the SAV flowering. Flowering is important for two reasons: first it is an indicator of plant vigor, and second the seeds produced provide for further expansion of these important plants. The return and continuing expansion of SAV indicates water quality and clarity are improving. In May 2018, Field and Stream Magazine recognized the area, highlighting impressive catches of bass and a resurgence of fishing tournaments in the area. Harvesting of gizzard shad has been an important factor in the water quality improvements, with more than one million pounds of shad removed annually. Since 1993, the shad removal equates to 217,500 pounds of phosphorus removed. Operation of the Lake Apopka Marsh Flow-way since 2003 has resulted in 40 percent of the lake’s water volume having been filtered annually, to remove suspended solids, algae and associated nutrients. In early 2018, the U.S. Fish and Wildlife Service (FWS) concurred with the district’s site-wide biological assessment of pesticide concentrations on the North Shore, thus enabling the district to begin implementing a broader management of water, vegetation, etc. — clearance that came three years sooner than expected. The broader management flexibility will provide additional benefits to Lake Apopka. The district is partnering with the Florida Fish and Wildlife Conservation Commission on a $5.7 million project to capture lake sediments in a natural settling area (called a sump) so that it can be periodically pumped to an area on the North Shore designed to hold the removed sediments. The district is pumping scattered muck from near-shore areas of Lake Apopka where sunlight is adequate for submerged plants to grow once again. Muck impedes light penetration and reduces plant growth. This is a $2.7 million partnership project with FWC and the Florida Department of Environmental Protection (DEP). The district is adding improvements to the flow-way designed to optimize its ability to filter suspended sediments from Lake Apopka’s water. The district is partnering with DEP on the $1.6 million project. Utilizing funding from the 2014 Florida Water and Land Conservation Initiative, the district has accelerated wetland restoration efforts on portions of the North Shore. The district has pilot tested several innovative processes since 2012, with varying levels of success with those private entities contracted to demonstrate the new methods for removing phosphorus from the lake. This project in southwestern Clay County is one of several projects identified in the North Florida Regional Water Supply Plan (approved in January 2017) to help meet future water supply demands while protecting natural resources. To be built between Penney Farms and Camp Blanding, the project focuses on providing recharge to the Upper Floridan aquifer in the Keystone Heights region and Lower Santa Fe basin. It is also expected to contribute to minimum flows and levels recovery in the Lower Santa Fe Basin and may help improve water levels in lakes in the Alligator Creek system, including lakes Brooklyn and Geneva. The project will capture flow in the Black Creek South Fork during periods of high water and flood events, pumping water through a transmission system toward the Keystone Heights area and discharged to an Upper Floridan aquifer recharge area. Through July 2018, the district has accomplished the following project milestones: topographic survey, geotechnical report, endangered species report, archeological study, land acquisition, pipeline hydraulic modeling, withdrawal impacts (hydraulic and water quality) and 60 percent of the design work. Ongoing work for late 2018 and early 2019 includes beginning the permitting projects, entering the procurement process for a construction contractor and beginning construction in late 2019. This dredging project began in January 2017 and was completed in March 2019. It was undertaken to remove muck from the bottom of the Eau Gallie River in Melbourne, a tributary of the Indian River Lagoon, to help improve water quality in the lagoon. The muck was sent to a containment area a few miles away on land owned by Brevard County. 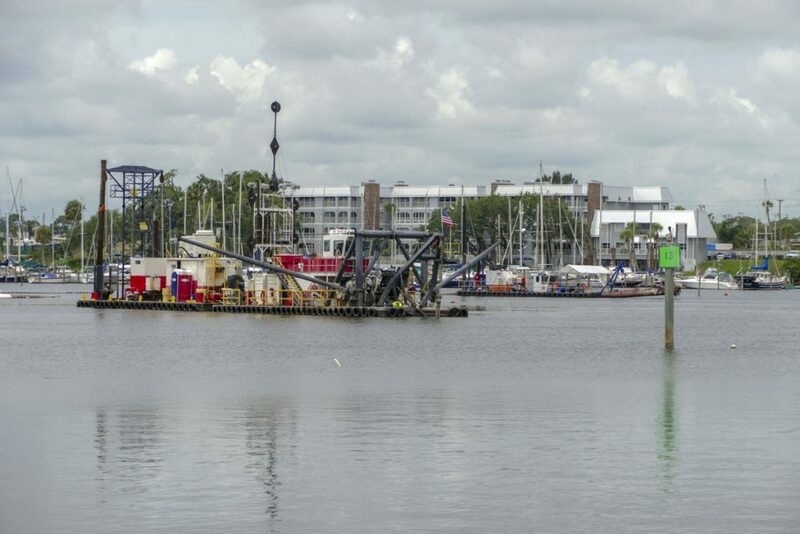 This first-ever muck removal project for the Eau Gallie River was a partnership among the district, Florida Department of Environmental Protection, Florida Inland Navigation District, Brevard County and the city of Melbourne. As a result of the dredging, more than 620,000 cubic yards of muck was removed from the main stem of the 3.9-mile-long Eau Gallie River, as well as the southern branch of the river known as Elbow Creek. The district’s ongoing cost-sharing program works with local governments, utilities, the agricultural community and other stakeholders to share in construction costs for projects that support one of the district’s core missions. By partnering with local governments and water suppliers, we are stretching taxpayer dollars further for construction projects that are producing real results in water resource protection. Since the 2013–2014 fiscal year, the district has awarded more than $129 million in cost-share funding toward projects with total construction costs of $345,198,035. Through these projects, estimated benefits include 128.9 mgd of alternative water supply developed, 9.1 mgd of water conserved, 1,251,518 lbs/yr total nitrogen reduction; 212,616 lbs/yr reduction in total phosphorus, and 3,861 acres protected from flooding. We are proud to partner with the communities throughout the district and the 90 projects that have been completed since Oct. 1, 2016. The water quality improvement project will include installation of 19,000 linear feet of pipes, dispersal units, and more than 50 flow-regulating valves and meters to disperse treated reclaimed water from the city’s westside regional wastewater treatment plant into 1,100 acres of the Bennett Swamp (a forested wetland) at an average annual rate of 6 million gallons per day (mgd). The project is expected to result in a removal of 54,000 lbs of total nitrogen and 18,000 lbs/yr total phosphorus from the Halifax River. The project consists of extending the city’s reclaimed water main by 1.5 miles along Grand Reserve Boulevard to State Road100 and Commerce Parkway and enable connection to current potable water irrigation systems. The project also includes upgrading the pumps at the wastewater treatment plant to provide reclaimed water at a higher pressure to end users for direct irrigation use. This is part of a goal toward zero discharge into Haw Creek from the wastewater treatment plant to reduce total maximum daily loads (TMDLs). The project will provide access to reclaimed water to the eastern part of the city. The town of Oakland identified the project as a necessary component to protecting water quality by redirecting and treating stormwater before it enters Lake Apopka or the Upper Floridan aquifer. A secondary benefit includes reducing local flood potential by better directing stormwater into available swales and retention ponds. The project included construction of drainage swales and retention ponds with nutrient-absorbing liners that reduce nitrogen and phosphorus loading in stormwater from flowing into Lake Apopka, and helps prevent flooding. The project also required the installation of piping to help convey water to the swales and ponds. These improvements will benefit the Ocklawaha River. This project is one of the measures toward the Silver Springs minimum flows and levels (MFLs) Prevention Strategy. The project involves the construction of a 33-acre groundwater recharge wetland that will receive advanced treated wastewater from two of the city of Ocala’s water reclamation facilities and stormwater from the Old City Yard Drainage Retention Area. The project will provide 3 to 5 million gallons per day (mgd) of recharge to the Upper Floridan aquifer, which is of significant benefit to Silver Springs, and will also provide water quality improvements treatment of the water through the wetland. Estimated nutrient load reductions are 59,000 lbs/yr total nitrogen and 30,000 lbs/yr total phosphorous. 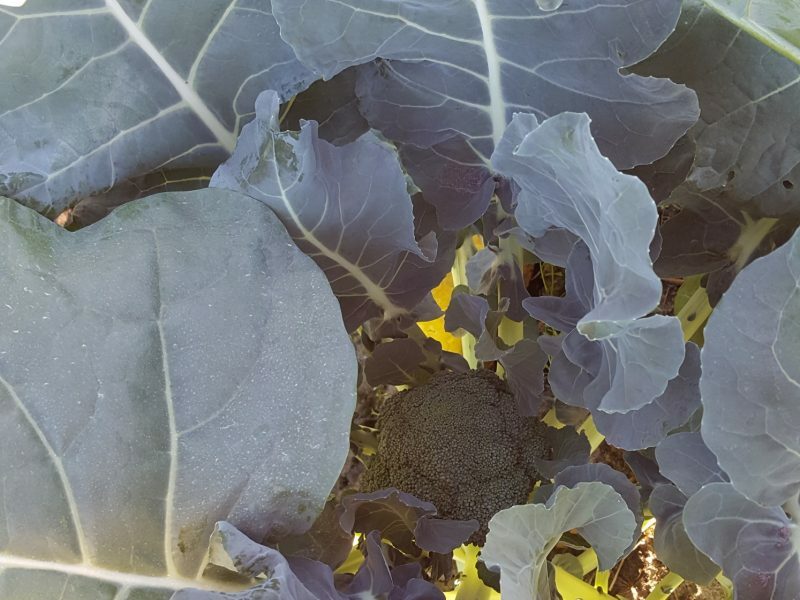 The district assists farmers in protecting water resources through its cost-share funding program and by providing technical assistance through its Ag Assistance Team. The Ag Team centralizes help in gathering water use data needed for permits, reducing duplication in the permitting process, thus saving farmers time and money. Through the Tri-County Agricultural Area Water Management Partnership, cost-share projects largely focus on implementing improved fertilizer and irrigation practices on farms to reduce fertilizer-laden farm runoff from reaching the St. Johns River and other waterways in Flagler, Putnam and St. Johns counties. 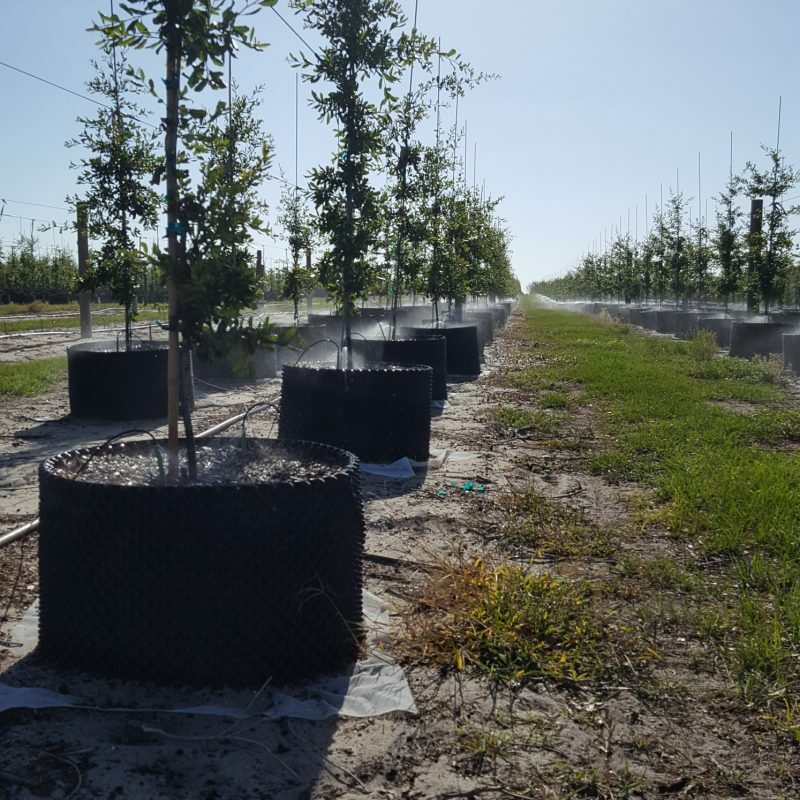 Cherrylake, a tree farm in Lake County, recently completed a project to change out sprinklers on 694 acres of containerized trees and shrubs. Cherrylake continually evaluates how their work affects the quality of our air, land and water and was awarded the Commissioner of Agriculture’s Environmental Leadership award in 2016. Even with improvements, they recognized that their irrigation system didn’t account for harvesting of individual trees within an irrigation zone because there was no way to shut off individual emitters. This would result in irrigation water being applied to the ground after the tree was removed. In addition, the emitters would sometimes spray outside of the container. With the assistance of the districtwide Agricultural Cost-Share Program, Cherrylake retrofit the system with a “spot spitter” stake and emitter combination assembly that provides a shutoff position. Based on a Mobile Irrigation Lab evaluation performed in January 2018, conservation is expected to be almost 25 million gallons of water per year. C.P. and Wesley Smith Inc. Farms in Hastings grows potatoes, broccoli and corn on approximately 1,500 acres. The farm, along with most other farms in the area, had historically been irrigated with seepage. Wesley and his sons have been converting their farm from the less-efficient seepage to more-efficient irrigation methods such as center pivot and sub-irrigation drain tile. They have seen reductions in irrigation of roughly 50 percent and increases in crop yields. They have received assistance from the Tri-County Agricultural Area Water Management Partnership as well as USDA/NRCS and are taking advantage of every opportunity to become more efficient. They have also purchased banding equipment, which dramatically reduces the amount of fertilizer being applied to the land. Since 2014, nearly 80 projects protecting spring water flow and water quality have been funded through district cost-share programs. The district has contributed more than $35 million toward springs protection projects, resulting in more than 62 million gallons of alternative water supplied and 4 million gallons of water a day (mgd) conserved. These projects also have reduced total nitrogen and total phosphorus. This project furthers construction and water management features at a city-owned water management site by the West Volusia Water Suppliers cooperative. This phase includes construction of a 4 million gallon per day (mgd) system to treat stormwater and future surface water from Lake Monroe. The treated water will be used to augment reclaimed water supplies. Project benefits include helping to meet the requirements for the recovery strategy set by the district in 2006 for the Volusia Blue Springs minimum flows and levels. Total project construction is estimated at $7.5 million, with contributions of $1.9 million each from the district and Florida Department of Environmental Protection.